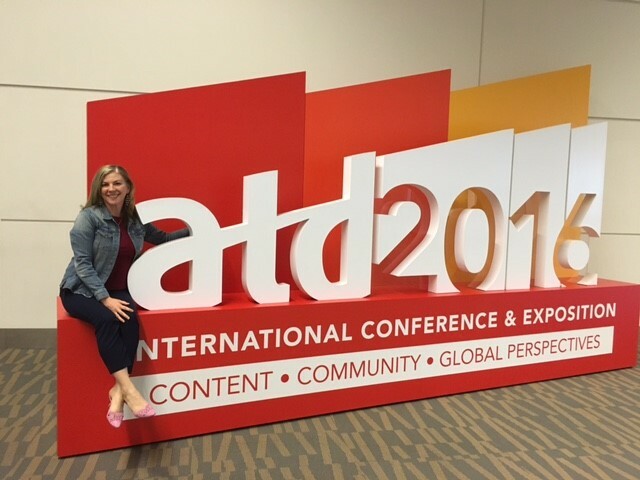 I’ve had just over a week to absorb all of the rich and eye-opening knowledge shared by thought leaders at the ATD International Conference and Expo in Denver, and I’m still filled with awe at how dramatically the talent development landscape is changing. 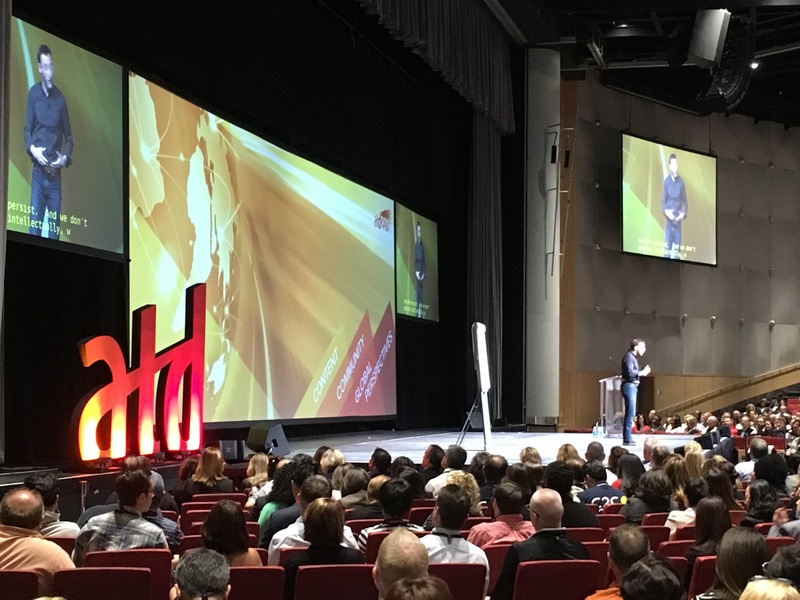 Simon Sinek, author of Start With Why and Leaders Eat Last, delivered an inspiring opening keynote to a standing-room only arena filled with 10,000 buzzing attendees. Simon shared his vision of “a world where nearly everyone wakes up inspired to go to work, feels safe and valued, and returns home fulfilled.” However, this vision is only possible in an environment that allows social chemicals serotonin and oxytocin (which make people happier and more cooperative) to easily flow. Simon spoke about leaders’ obligation to create “safe” work environments in which leaders are not only taking charge, but are also taking care of the people in their charge. Conversely, a workplace focused on pointing out things people are doing wrong becomes rife with cynicism, paranoia and mistrust, and creates an environment that’s all about self-preservation. Organizations dedicated to safe work environments develop teams that are loyal and dedicated to the organization’s best interest. 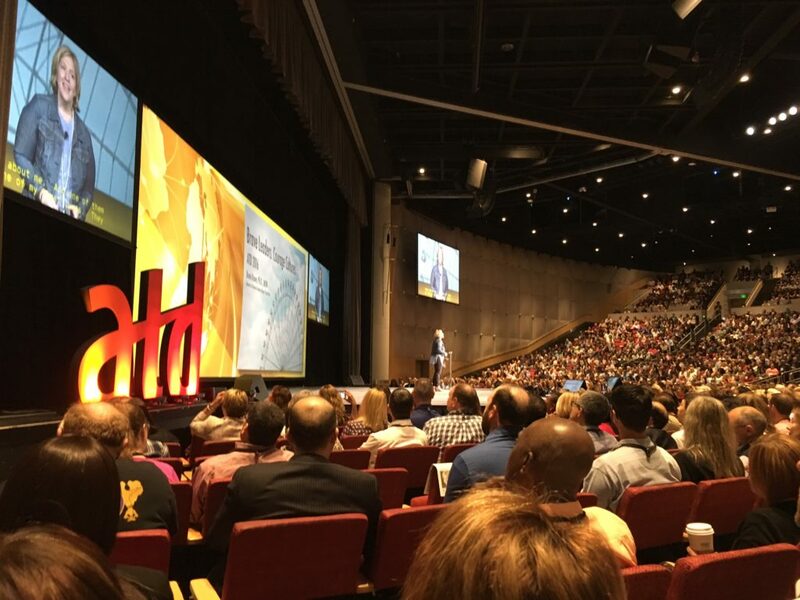 The arena was just as packed and buzzing on day two at ATD. Research professor and bestselling author Brene Brown spoke about how brave leaders create courageous cultures. 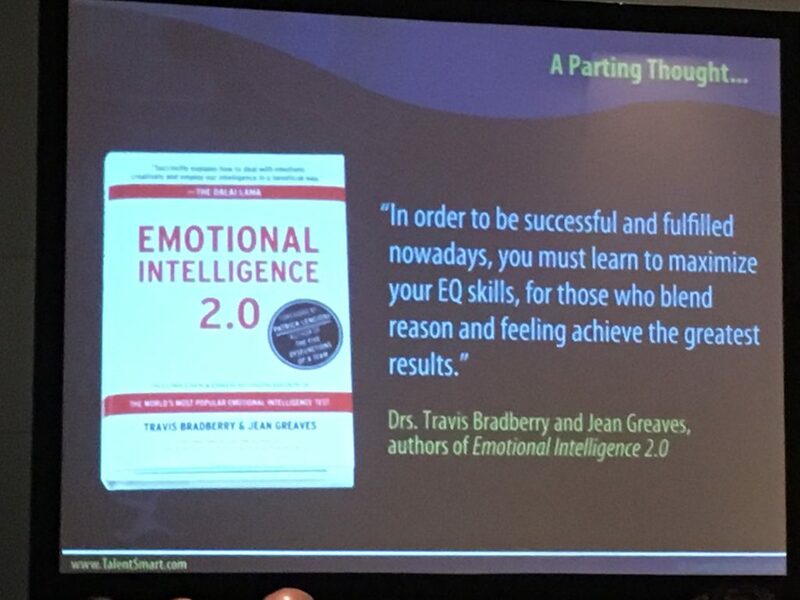 Drawing from her research on shame, vulnerability, and courage, Brene told us that in order for leaders to be successful, they must connect with their employees; and to truly connect with others, you must let yourself be vulnerable and even willing to fail. In fact, she says that without failure, there can be no innovation, and there is no learning. Vulnerability is a willingness to face uncertainty and take the risks necessary to do great work. Brilliant leader Britt Andreatta (Lynda.com; LinkedIn) told us outright: business is in the midst of a major evolution to a model that represents a “higher stage of consciousness,” which is at once more values-based, more productive and more effective. All three generations in the workforce want more meaning in work—across cultures there is a rise of passion and purpose, of authenticity and happiness. Referencing Laloux’s Reinventing Organizations and Kofman’s Conscious Business, she told us that in 25 years all companies will be following this model. Across the board, presenters spoke of a strong focus on leadership development. Why? Because today’s leaders are being held responsible for employee engagement. What’s more, the boss-subordinate dynamic is evolving. Individual contributors are expected to operate like managers. They are being given access to training previously reserved for leaders, including career coaching, lifestyle balance guidance, presentation skills and storytelling. The younger workforce does everything digitally (no big surprise). But it’s fundamentally affecting how training works. Traditional lecture-style, week-long, in-person learning is a thing of the past. 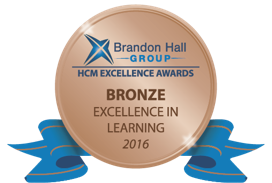 Today’s learning cultures focus more on interactive learning that engages participants, and informal learning such as virtual workshops, micro-learning, peer-to-peer coaching, social learning and effective performance support. This cannot be overstated: in a world where data is now everywhere, visual training is more important than ever. Presenters that support their ideas with relevant, eye-catching graphics and images will tap into emotion—and connect much better—with their audiences. At TPC, we have seen many of these trends firsthand. Our most forward-thinking clients are embracing a more conscious approach to their missions, values, visions, leadership approaches and talent development efforts. These changes keep us on our toes, compelling our team to remain ahead of trends to continue providing the most innovative solutions to our clients. Check out what TPC is doing to support these trends. Visit our workshops page or drop us a line. Melony Bravmann, VP of Marketing & Client Services, ensures The Presentation Company’s projects run smoothly and efficiently. Melony brings more than 15 years of experience leading programs in marketing, design, sales enablement, learning and development and client engagement for Fortune 100 companies.